Crestock is a stock photo agency that only offers royalty free stock photography and images, with no other licensing options available. 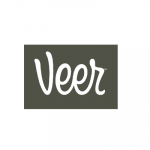 The website was originally launched in 2005 by a company in Norway but was recently acquired by Canadian stock photo corporation Masterfile in 2010. Little changes to Crestock have been made since the acquisition, and Crestock has retained its vision to offer high quality stock photos and images for competitive prices. 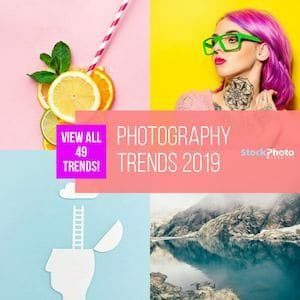 With only one licensing option available, Crestock has focused on buyer education, designer resources and various buyer options to make Crestock an admired stock photo agency. Their free image offers are abundant and their industry information relevant and up to date. Some reviewers think that Crestock concentrates too much on industry information, resource sharing and customer education, but this is one reason why Crestock remains a recognized stock photo agency in the microstock industry. With the industry and image use changing so rapidly, being a resource to customers is a competitive edge and noticed as a valuable asset in the latest Masterfile Corporation purchase. 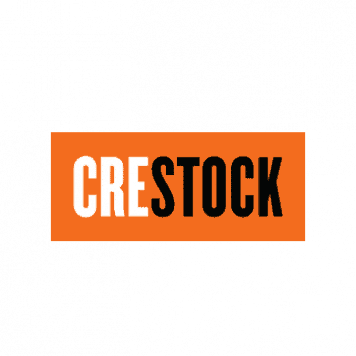 Crestock offers three affordable buying options. Each option has its benefits and will depend on the customer's stock photography needs. 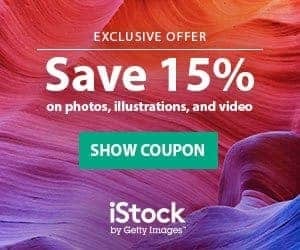 Direct purchase, credits and subscriptions offer stock photo prices starting at $1 USD and go as low as 25¢. Their buying system is easy to navigate, clearly outlines advantages and pricing. Prices are determined by image size and resolution with all scalable vectors costing the same price. Registered customers can purchase immediately with the direct purchase option and will pay the same as credit purchasers until purchasing reaches $100 USD. The credit buying option is clearly outlined, easily purchased and easy to understand. Savings start when a customer buys 100 credits ($90 USD) and continue as one buys more credits. Credits can only be purchased in pre-determined packages starting at 5 credits for $5 USD to a maximum of 1000 credits for $750 USD (25% savings). Credits can be calculated on a 1:1 ratio when determining pricing on an image page. Subscription savings are the highlight of the Crestock buying options and significantly decreases the price of Crestock images. Image downloads under the subscription option are not size and resolution dependant. 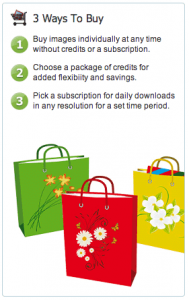 Subscriptions enable 20 image downloads per day and are available in 1, 3, 6 and 12 month plans. Subscription prices start at $199 USD with images priced at 33¢ an image. The lowest price per image subscription is 25¢ per image. Crestock search tools are simple, easy and few. Images are primarily searched with keywords and secondarily searched by file type, image size, orientation and people. There is no keyword prompting and keywords are listed on found images. Search history and images viewed are saved for easy re-use. There are no categories or advanced search options. The Masterfile stock photography agency can be searched on Crestock and is a serach option offered in the footer of the website. Be aware that Masterfile has two licensing options, Rights Managed and Royalty free so a search through this parent site could confuse Crestock members as the Crestock vision, membership priviledges and purchasing options are not shared between the sites. Crestock only provides Royalty free images. Celebrity Photos-They have a very affordable section of celebrity images, which can be used for personal usage only. Blog-The blog is written by staff and the Crestock community. It is active and has lots of website, industry and design information. It is a great feature and addition to the Crestock website and they encourage submissions. Forums-Crestock forums are active and full of useful resources and information for buyers and designers. It is worth a look. 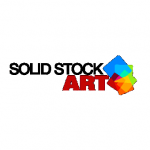 Free Daily Downloads-Crestock offers members free DAILY downloads and a free image gallery. Considering that the images are high quality, this is a significant bonus that members can take advantage of on a daily basis. Crestock has high submission standards, which benefits the buyer. 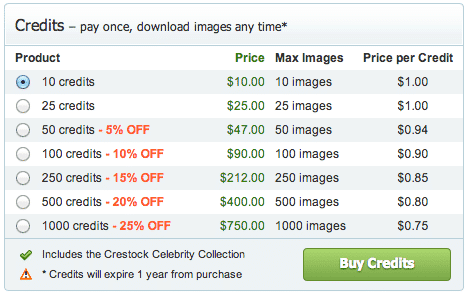 Their competitive pricing and free daily downloads makes Crestock an attractive membership option for stock photo users. Though Crestock has recently been acquired by the Canadian stock photo agency Masterfile, the website and vision of Crestock has not changed. The Crestock blogs and forums are useful resource tools for new and seasoned stock image buyers. Crestock is worth a look and you can sign up for a free membership now to take advantage of their free daily image downloads.